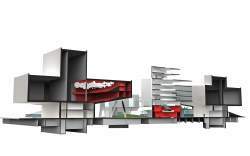 Theaters have a distinct typology and shape. 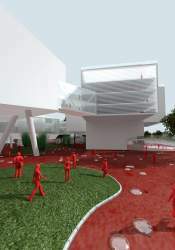 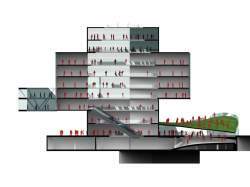 Historically the malleable program of public space and offices has been wrapped around the complex technical core of the auditorium, performance area and backstage rooms. 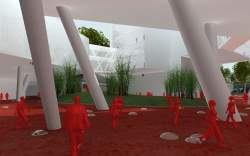 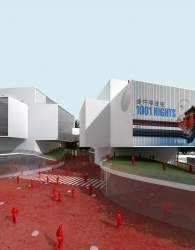 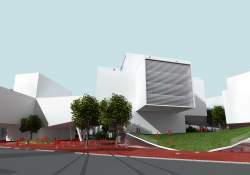 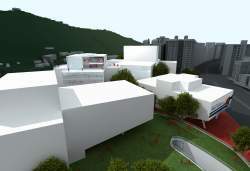 This proposal aims to let intricate forms of the three theaters of the Taipei Performance Center speak for themselves. 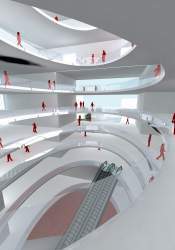 This is possible by connecting them underground and with bridges in the air. 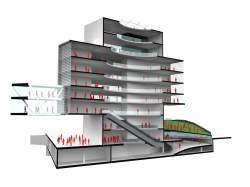 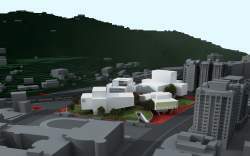 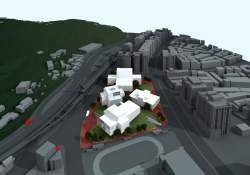 This leaves each theatre independent and efficient, and allows the ground surface to become a park for Taipei.